ROAD TOWN, Tortola, VI- It may not make much of a "dent" on Government expenditure but Leader of the Opposition Hon Andrew A. Fahie (R1) believes if there is any move to cut civil servants pay, Cabinet Ministers should take a pay cut too. Appearing as a guest on Honestly Speaking with host Claude O. Skelton-Cline on ZBVI 780 AM radio on October 24, 2017, Hon Fahie said though that may not solve the financial conundrum that the National Democratic Party (NDP) Government seems to be in it will be a sign of good leadership and example. The Opposition Leader and Chairman of the Virgin Islands Party (VIP) said currently the base salary of backbenchers is $36,000 plus allowances while Ministers collect more than $100,000. According to Hon Fahie, the Ministers salaries should come down on the level of the other elected representatives for the time being. It was also suggested that the 2 Junior Ministers posts be eliminated. 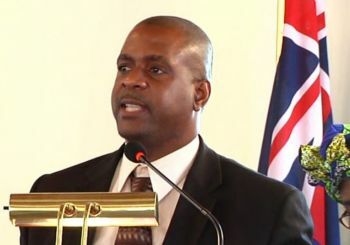 Nothing that there are only reports of a possible cut to civil servants pay, Hon Fahie said if this is to happen Cabinet Ministers should lead from the front and also take a pay cut since Finance is the responsibility of the Government even though civil servants come under the responsibility of the Deputy Governor. He also said a decision on a pay cut has to be openly discussed with public servants and not let to a decision of senior officials since the "greedy will not help the needy", noting that senior persons tasked with making pay cut decisions will tend to protect their interests only. And according to the former Minister for Education, the people of the Virgin Islands are a resilient people and "they will help you through any storm once you are truthful to them." He added that the new Virgin Islands has to be built on the foundation of truth and open communication. 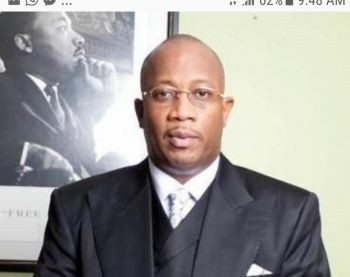 Premier and Minister of Finance Dr The Honourable D. Orlando Smith (AL) continues to deny that Government has a cash flow problem, even though civil servants continue to not being paid on time. Government had initially blamed a server issue for delay in public servants pay. The NDP Government has long been accused of draining the treasury and former Governor John S. Duncan OBE publicly chastised government for lacking priorities in spending. According to the host of the show, Mr Skelton-Cline, a look at the Territory's budget shows that the payroll for government is $10M per month, which equates to $120M per year and represents 40% of the annual budget. Mr Skelton-Cline described the payroll as unsustainable and "needs to be fixed." The talk show host suggested that among the things can be done to cut expenditure are to send home civil servants brought out of retirement, offer more opportunities for early retirement and cut down on sending persons on extended leave of absence. Mr Skelton-Cline was also in agreement that leadership should take a pay cut too once civil servants are to suffer a pay cut. that is indeed a lot of money and even though some receive an allowance for the area it is only use to percup the people during election so where does it go? Ask Joe Public. Too much greed and corruption in govt. Father please send angels to rule over us and not people. I agree. Not Just in government but in all spectrum and businesses. Leadership should be the example..on Greed Island The poerful are Sharks and the poor is blood..
We thank Hon. Fahie for being the only voice speaking up for we the people against this ndp government that abandon us after Irma but now coming to try to play hero. That's a speech the governor or someone in government should have given Rite Way..Lay-off very last option. Give everyone a month without pay including managers rotate it instead of giving a few 3 monghs off or cut everyone time to 32 hrs including managers... Fairness is important of the effort to be fair is comendable.. The Zzzz Premier and his ministers telling too much lies. They can't be trusted. Paid allowances to live in there own homes.